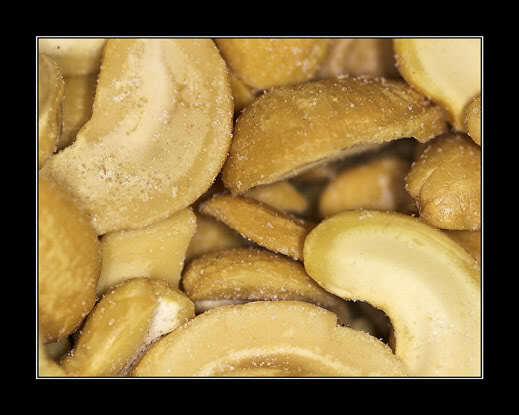 A picture of my nuts and nobody has commented yet!! These aren't to bad for one of your first attempts to get to grips with macro photography Sharon. They look a tad salty ! I agree with John, too close for the frame.